Obituary for David W. Treiber | Thomas Funeral Home P.A. 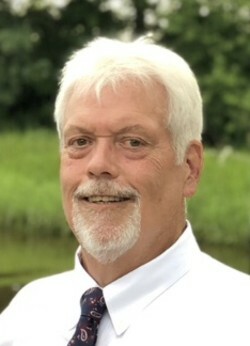 David W. Treiber, 64, of Cambridge passed away on Sunday, April 14, 2019 surrounded by his family at University of Maryland Hospital in Baltimore. He was born in Cumberland, MD on May 19, 1954 and was a son of the late Charles William and Gwen Turnbull Treiber. David graduated from Arundel High School class of 1972. He was recruited by Wesley College in Dover to play football for three semesters and was inducted into the Wesley College Athletics Hall of Fame in 2015. He was an All-American and was named Mid-Atlantic Coastal Conference Lineman of the Year in 1974. Big Dave was later recruited by University of Pittsburgh in 1974 to play football under Coach Johnny Majors and blocked for Tony Dorsett. During his tenure at Pittsburgh, he played in the Sun, Sugar and Gator Bowls, winning all three. He also helped Pitt earn the title of National Champions in 1976. On March 19, 1988, he married the love of his life, the former Marilyn Robinson of Cambridge. Dave was a devoted husband to Marilyn and they shared a love that is insurmountable. He did all through her as she did the same for him. They celebrated their 30th anniversary in Italy last year. Their unbreakable bond is not bound to the physical body and it will live on forever. He was also a dedicated father to his girls, Rachel and Rebecca, as well as his fur babies, Copper and Lola. David was a true family man, never missing his daughters’ events throughout childhood and into adulthood. When Rachel and Rebecca were young, he was even their soccer coach. Dave was infinitely proud of his girls, just as they were of him to the very end and will continue to be. His immeasurable strength will live on through them as they live their best lives for David. David worked as a Sales Manager at Bill Strawn, which later became SKS. He started his career in the transportation industry at Preston Trucking and was later recruited by NEMF, where he worked as a Senior Account Executive until his retirement. He was the Treasurer at Grace United Methodist Church for several years. This is the same church where he married his beautiful wife and baptized his two daughters. Dave was also the Secretary of the Elks Lodge of Cambridge for many years and eventually became the Leading Knight. He was working through the ranks and was finally in line to become the Exalted Ruler this year, just as his father had been before him. He was an avid hunter who also enjoyed fishing, golf, grilling, and all things outdoors. He was a member of the Good Guys Hunt Club in Church Creek, Lane’s Hunting Lodge in Easton, and Trappe Hunt Club. He took pride in his man cave filled with hunting trophies from many of his trips; his favorite of which were the wild boar from South Carolina, billy goat and red stag from Pennsylvania, geese from Alberta, and black bear from Maine. He won the Big Game Award in 2013 from the Maine Antler & Skull Trophy Club for the black bear which was hunted by crossbow. You could always find Dave with a smile and made friends wherever he went; most of which were from the Elks, hunt clubs, and the 12 step program, which he was involved in for 28 years. He was such a blessing in life and made an incredible impact on all that knew him. David was known to many as a master poker player and liked to indulge in the lottery often. A fix-it man to the core, he took on any task, especially for his girls. Most of all, Dave loved spending quality time with his family and friends, always making himself available to them, no matter what they needed. He is survived by his wife Marilyn Treiber of Cambridge, two daughters Rachel Treiber and Rebecca Treiber, brother John “Jack” (Kathy) Treiber, sister-in-law Julie (Steve) Merrick, mother-in-law Carolyn Robinson, nieces Lauren Treiber, Tish Blessing, Heather Meekins, Jenna Treiber, Sarah Dymond, nephews Dougie Burton, TJ Meekins,Tommy Dymond and a former sister-in-law Bonnie Jackson. Besides his parents, David is preceded in death by a sister Robin Treiber, father-in-law C. Frederick Robinson, niece Laurie Merrick, also by pets Dixie, Casey, and Garfield. Pallbearers will be Jack Treiber, Steve Merrick, Dougie Burton, TJ Meekins, Michael Rosendorf, and Chris Barnes. A funeral service will be held on Friday, April 26, 2019 at 2 pm at Open Bible Church in Cambridge, MD with Rev. Steve Bloodsworth officiating. Family will receive visitors from 12:30 to 2:00. In lieu of flowers, friends and family may honor the life of David by making memorial contributions to Living Legacy Foundation, 1730 Twin Springs Road, Ste. 200, Halethorpe, MD 21227. Arrangements are in the care of the Thomas Funeral Home, P.A. in Cambridge. There's still time to send flowers to the Visitation at the Open Bible Church from 12:30 PM to 2:00 PM on April 26, 2019.